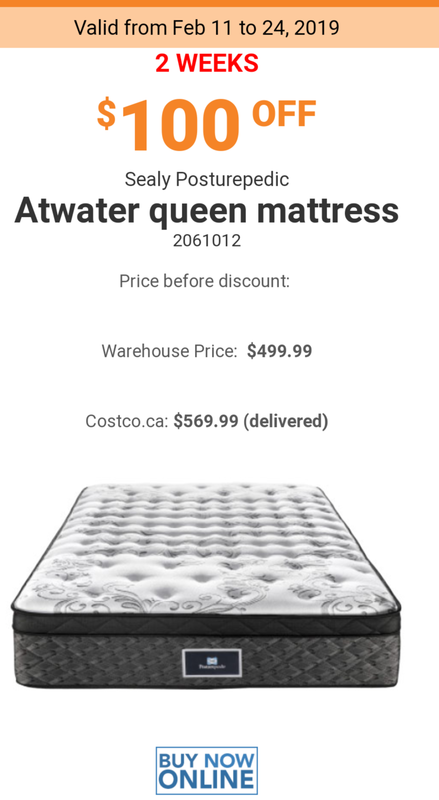 Some big coupons today at Costco – you can find these online or in the store handout. 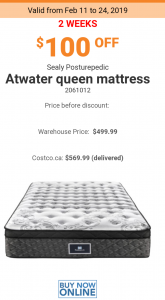 There’s $100 off Sealy Atwater queen mattress and $20 off the boxspring, $5 off Edge razors, $6 off filing boxes, $6 off organizer, $4 off turkey bacon, $2 off Boursin cheese, $3 off Qtips and more. Check back in later today for the Unadvertised Deals of the week – I always post these around monday lunch time (Winnipeg time) so you still have plenty of time in the day to shop! « Ikea PJ Party – and enter to win an actual sleepover at the store!! !